His Excellency the President, Dr. Ernest Bai Koroma (in photo) is a quintessential politician whose successful romance with the Sierra Leone Muslim Community has dazzled most citizens at home and abroad. Since the patriotic, compassionate and God-fearing leader assumed power in 2007, he has never relented in giving support to the Muslim pilgrimage (Hajj), which is one of the five pillars of Islam. Born to a cultured and dedicated Christian family in the Northern city of Makeni in the Bombali District, President Ernest Bai Koroma was raised in a Christian home with Wesleyan background. But what has left most Sierra Leoneans bewildered is the President’s vested interest in the Muslim Community. His penchant for supporting the community is clearly manifested in his Government’s robust move to take ownership of the organization of Hajj. Ironically, some of President Koroma’s predecessors, (with due respect to them) who are Muslims never put much premium on Hajj. Prior to 2007, there was a proliferation of fly-by-night organizations that received money from Sierra Leonean Muslims for the Hajj and many of these organizations would end up disappointing them. Between 2004 and 2006, for example, hundreds of Sierra Leoneans who had paid some agencies for the pilgrimage were abandoned at the Lungi International Airport, Gbessia International Airport in neigbouring Guinea – Conakry and Nnamdi Azikiwe International Airport in Abuja. Those were some of the embarrassments and challenges intended pilgrims had to grapple with before the President Koroma assumed office. Some of our former leaders never had interest in protecting the welfare of pilgrims as no action was taken against the agencies that allegedly duped or failed to render services to the intended pilgrims whose money they had received with the pretext that they would take care of their trip to Mecca, accommodation, feeding and other facilities that hinged on their daily welfare. It even come to a time when Sierra Leoneans jokingly called such victims of circumstances as ‘Alhaji Abuja’, ‘Alhaji Lungi’, ‘Haja Conakryi’, the list went on and on. But today, the multiple agencies that used to handle the Hajj programme have submerged into oblivion while President Koroma and his Government have taken ownership of the Hajj programme, which has been going on smoothly for the past few years. Under his regime, Sierra Leonean pilgrims no longer have to worry about airline, accommodation, medical, feeding, and other issues pertaining to their welfare because of the proactive approach of President Koroma’s Government to put all modalities in place for the pilgrimage way ahead of time. This clearly demonstrates President Koroma’s religious tolerance and accommodation of all Sierra Leoneans irrespective of religion, region, ethnicity or race. It also indicates that his government is responsible, transparent and accountable to the people of Sierra Leone. President Koroma’s successful romance with the Muslim community that comprises 70% of the country’s population has greatly impressed the Sierra Leonean community in Saudi Arabia, who are extremely proud of his consideration for his fellow Sierra Leoneans. Their impression come after the President telephoned some of the officials that accompanied the pilgrims this year and requested to talk to a cross-section of the Sierra Leone pilgrims himself to inquire about their general status. 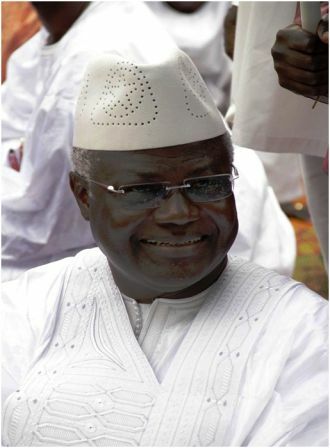 A former President of the Sierra Leone Nationals’ Union in Saudi Arabia described the President’s action as an “unprecedented display of true and responsible statesmanship.” It is indeed worthy to note that never before in the history of Sierra Leone, particularly what has to do with pilgrimage, has a president of Sierra Leone gone this extra mile to find out in person about the general welfare of his nationals in the holy land in the aftermath of their performance of the rituals of the fifth tenet of Islam-Hajj. Even the Saudi authorities have respect for Sierra Leone now because of the total support President Koroma is giving to the Muslim pilgrimage, especially when he is a leader with devout Christian background. Their perception about religion is that it is very uncommon to see a secular leader with a Christian background being seriously involved in the welfare of his people making pilgrimage to Mecca. Indeed, President Koroma’s religious tolerance and love for his fellow citizens has impressed not only Sierra Leoneans, but also other nationals from Africa who believe that such would never happen in some of their respective countries. I believe that quite apart from President Koroma’s religious tolerance and consideration for his fellow citizens, it was necessary that his Government took over ownership of the Muslim pilgrimage to save Sierra Leone from the embarrassment and humiliation we suffered some years back, when intended pilgrims were stranded at airports and later returned home without performing the Hajj. I therefore posit that every Sierra Leonean should be proud of the President for restoring the dignity of the Hajj programme. Kudos President Koroma!